Look no further than these modern sinks when looking to enhance the interior of a home. Think about all of your options, your kitchen sink, master bathroom sinks, guest bathroom sinks, and even laundry rooms. From the selection of white sinks available in the modern style to wood or stone pieces, the right modern piece can stand out. Any one of these 17 modern sinks can enhance a home. 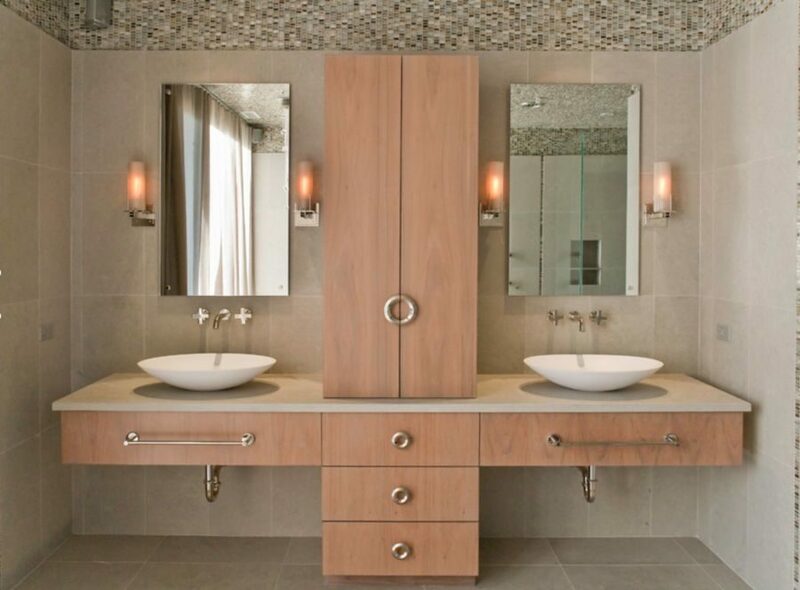 This sink and mirror serve as the focal point of the bathroom. This minimalistic and modern sink doesn’t take up any more space than it needs to. It looks like art and stands out from the typical white sink available. 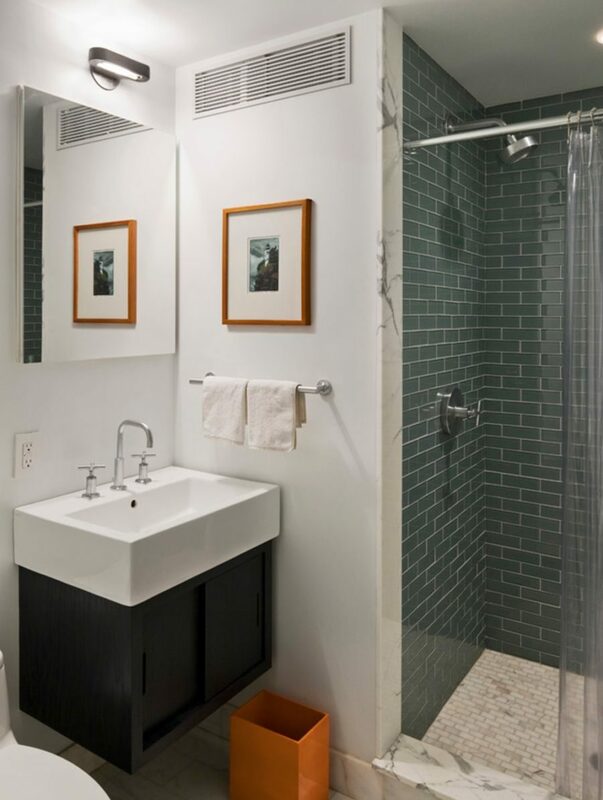 This modern bathroom makes use of every inch of available space. Emphasize function with a large white sink in a modern style. Whether in a bathroom or a kitchen, this large sink is unique and modern. White is a common choice in modern sinks but what makes this piece different is its unique size. The height of the sink is unlike any other. 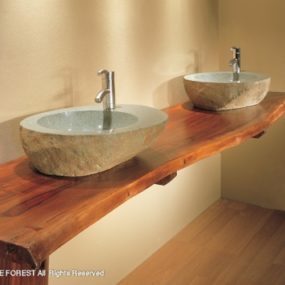 Add nature to your bathroom with a white sink and live edge wood countertop. Because modern design makes use of natural materials, the live edge countertop looks great with the modern white sink. 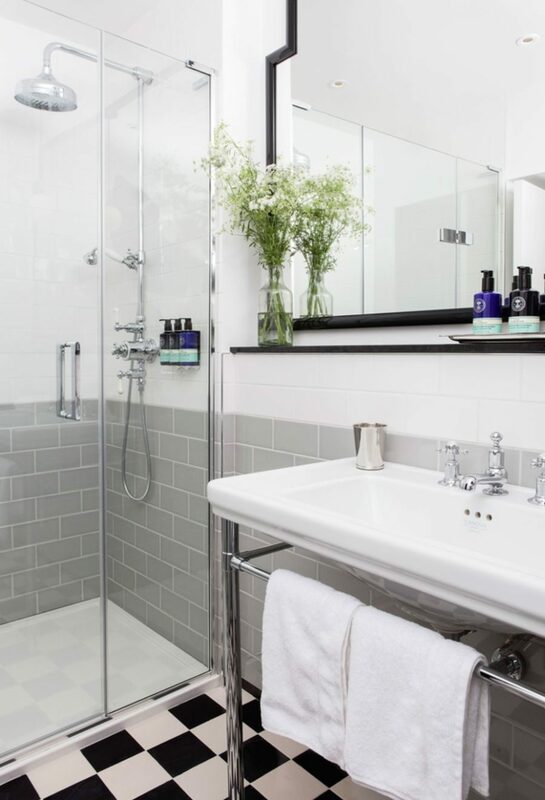 Enjoy a no-frills bathroom like this one for years to come. Add elegance with this large, modern sink. 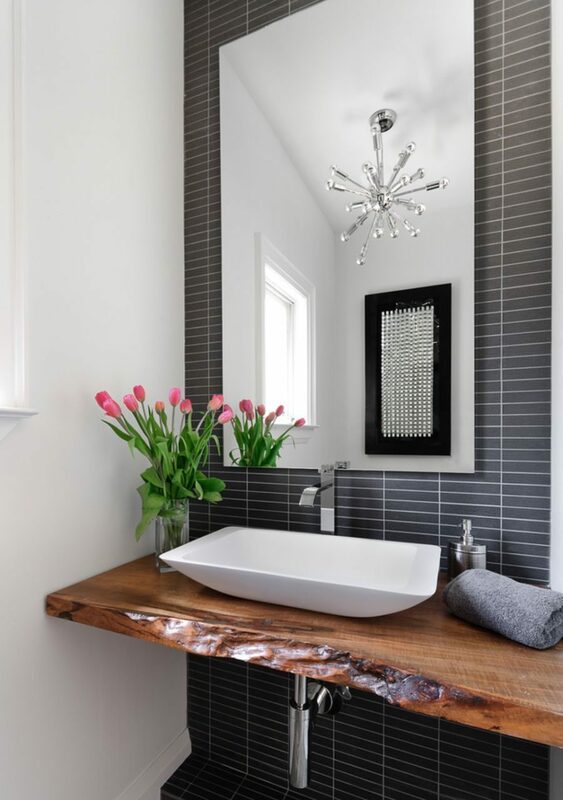 You won’t need to redo this bathroom anytime soon if you add an elegant sink like this one. This sink with storage space would do well in a guest bathroom or laundry room. Enhance every home with a modern, elegant sink like this one. 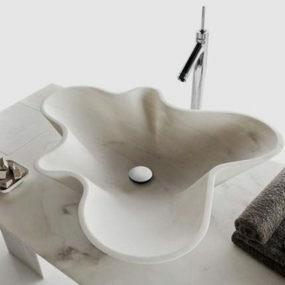 This modern sink allows other features to stand out. With a modern sink like this one, you can decorate your bathroom with any feature you want. Whether you prefer pops of color or a stunning stone wall like this one, this modern white sink is the perfect canvas for any home decor. Add contrast with a black modern sink. 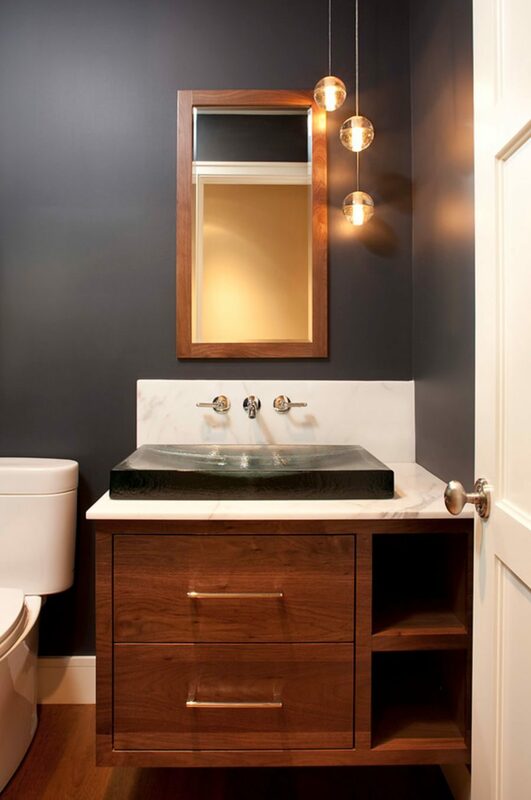 In contrast with dark woods and light walls, a modern sink style in the color black has the potential to stand out. A black sink with glass features is the essence of modern style. 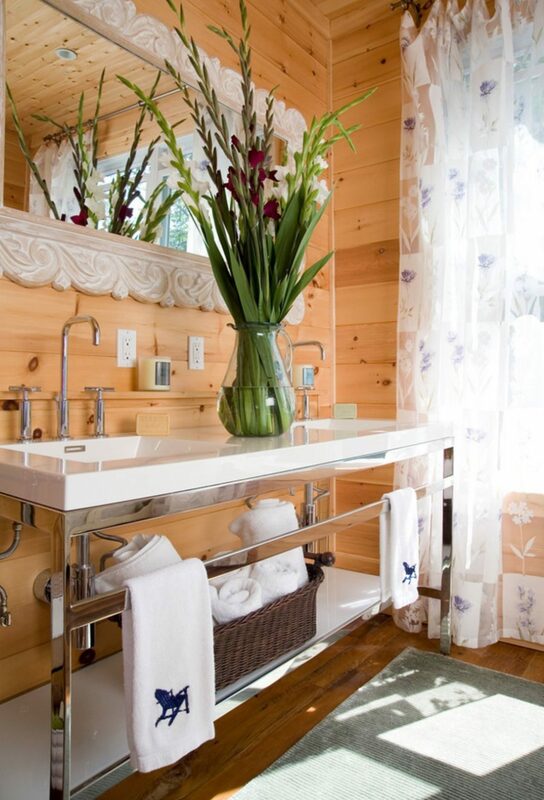 This double sink looks great with all interiors. Do you have a pool bathroom with people going in and out of the space? 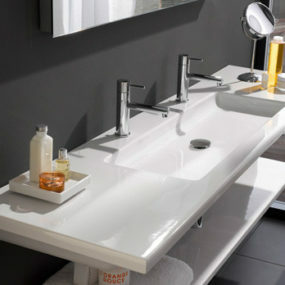 This large double sink made in the modern style is simply elegant. It won’t go out of style and will easily transition as you make decor changes in your home bathroom. 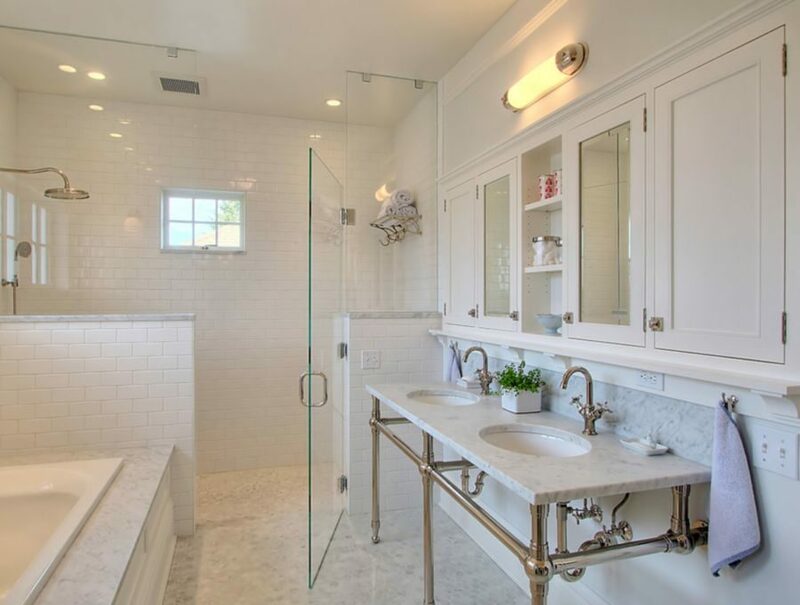 This modern white sink looks great in a guest bathroom. Of all of the modern white sinks listed in this article, not one of them is the same. There is a lip on the sink able to store soap and toothbrush holders but no other clutter can accumulate on the sink. This modern sink suits the modern family. 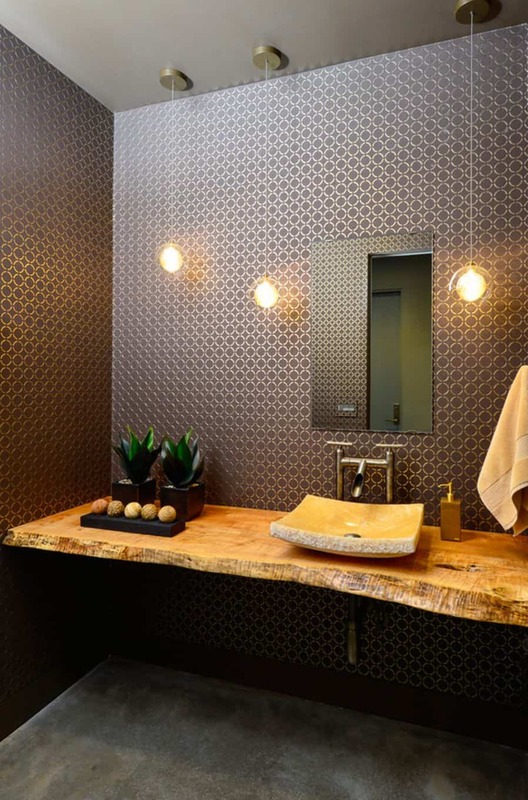 This sink is uniquely placed and adds to the room’s design. 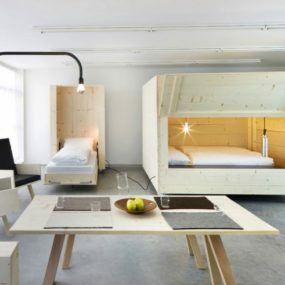 Modern design is about maximizing the ability to use a space. This sink serves its purpose and blends in with the surrounding countertop. It has both art and function! 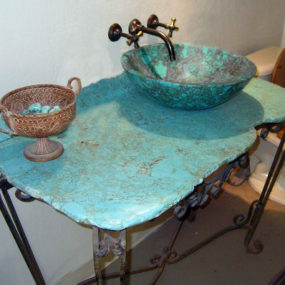 Keep your bathroom light and bright with this stone and copper sink. 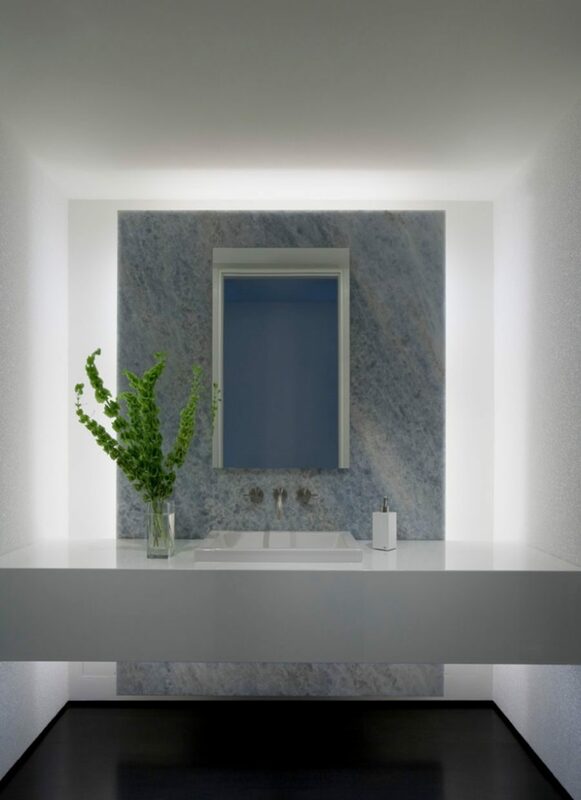 White marble throughout a bathroom space makes use of one of the best naturally occurring materials out there. 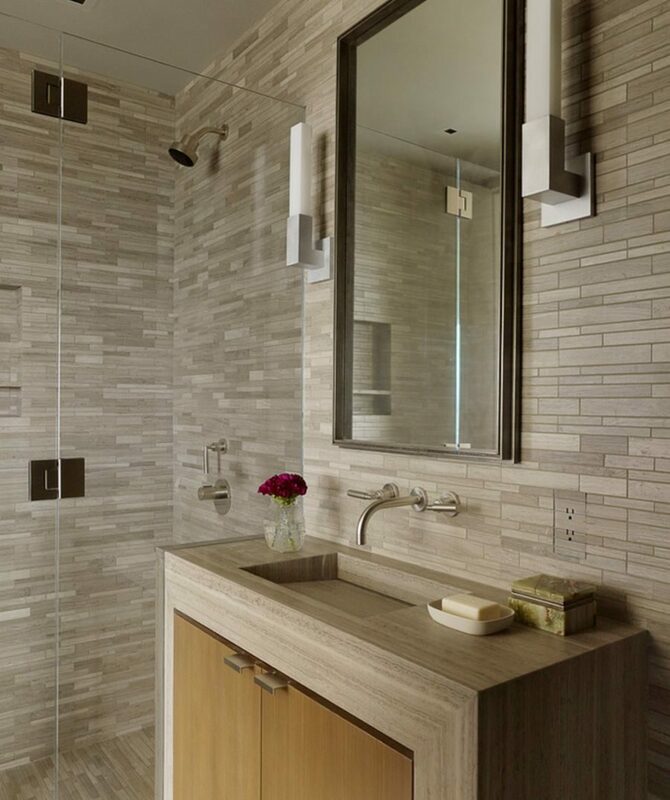 Stick with a subtle and modern design for your master bathroom. 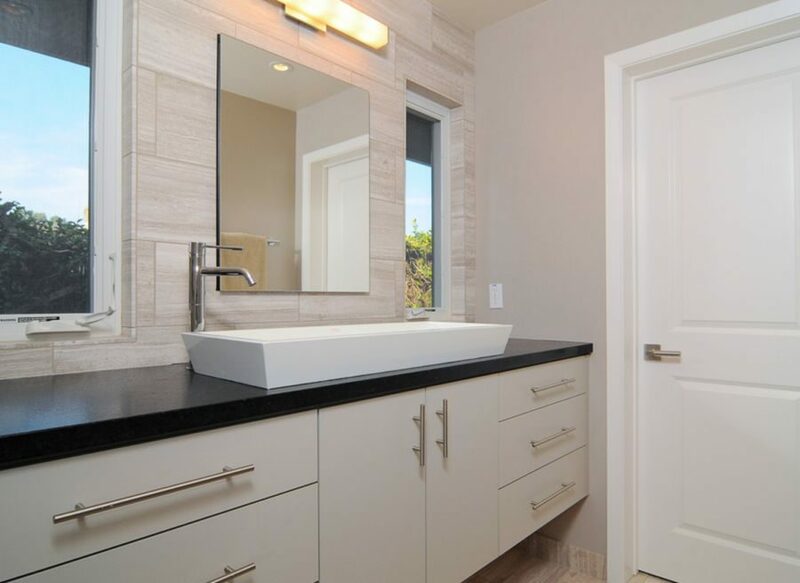 This master bedroom has two modern sinks. 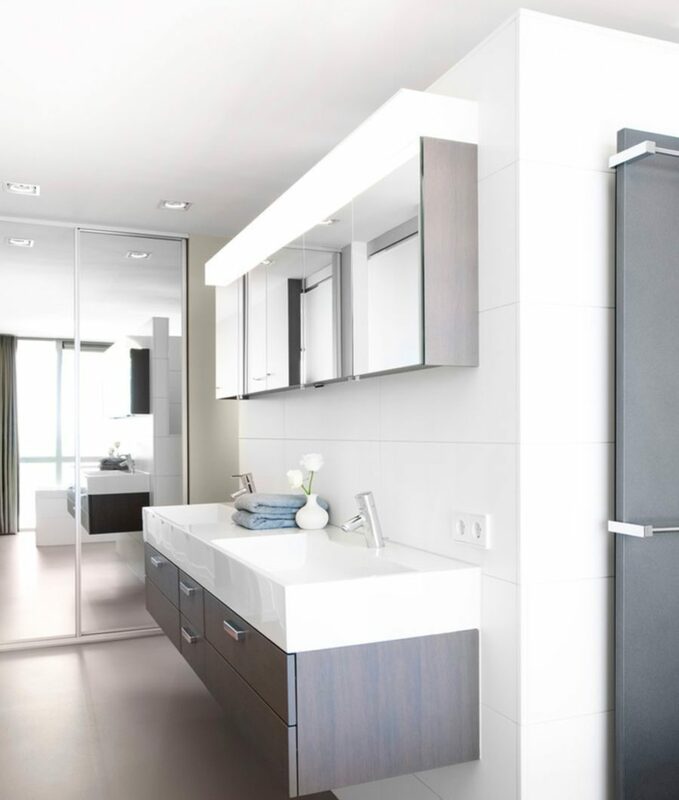 This combination of porcelain, concrete countertop, and wood cabinetry emphasizes natural materials throughout. 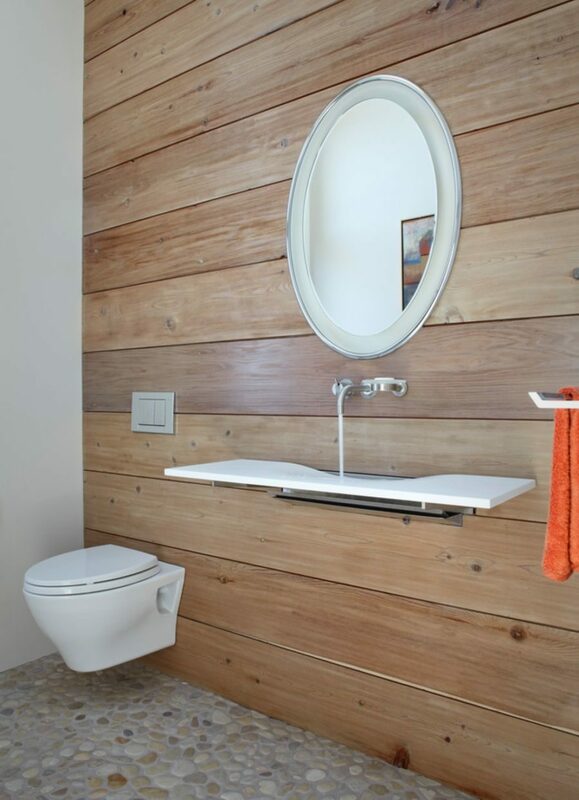 Let your modern sink serve as a pop of color in your muted bathroom space. 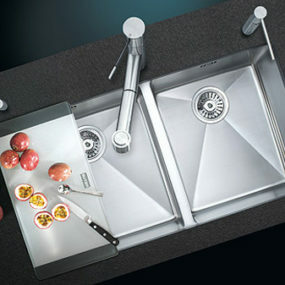 This modern style makes use of a recessed sink in the countertop. A waterfall countertop with a recessed sink with a hidden drain simply looks magical. A white modern sink always looks good with gray accents. Perhaps the most beautiful of the white modern sinks we have seen, this deep double sink complements all style preferences. 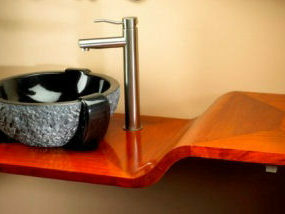 Increase available counter space with this small sink in a modern style. This rough edge stone sink looks good in any size bathroom. 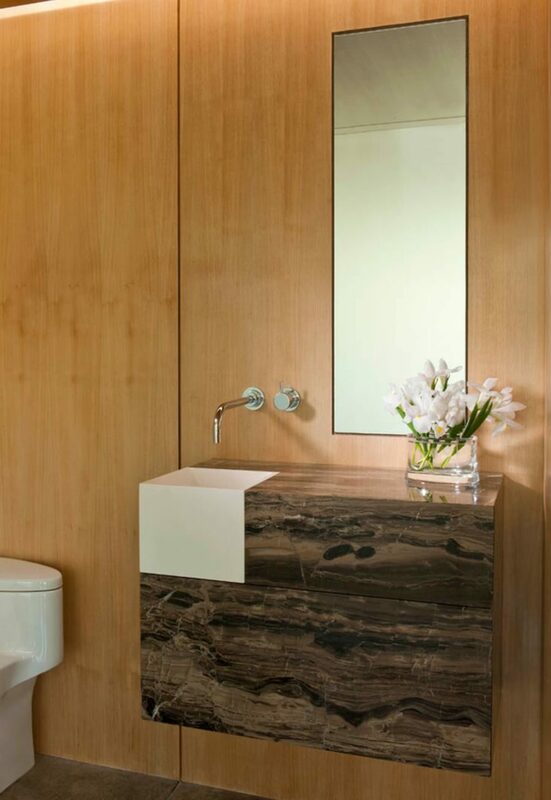 This live edge countertop looks especially complementary! 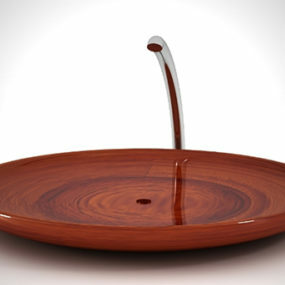 This modern bowl sink looks like a piece of art. Enhance your space with a modern sink like this. It looks like a bowl is rested on the countertop, as if it is a mere design element. This sink with storage has two functions! 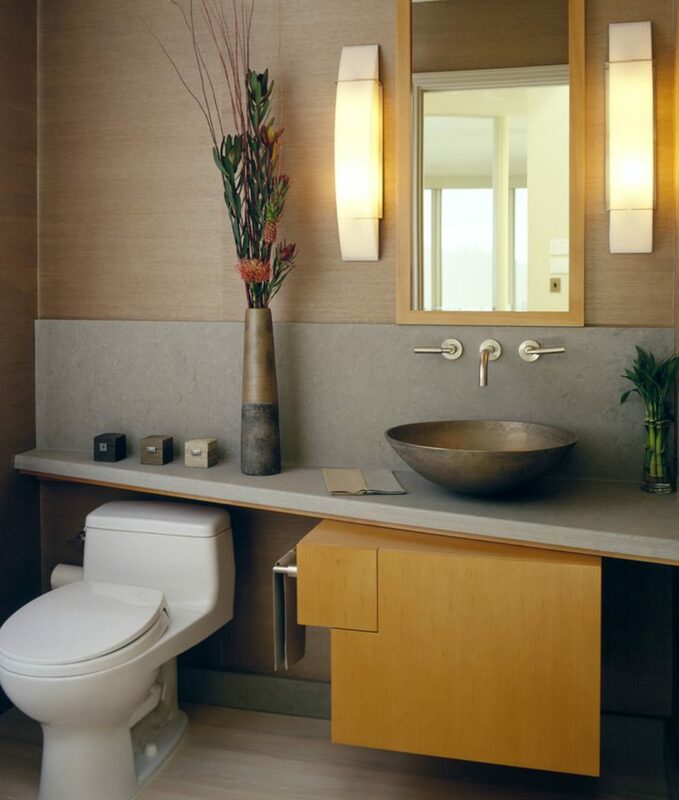 Try two sinks in your space with storage space actually incorporated into the structure of the sink. 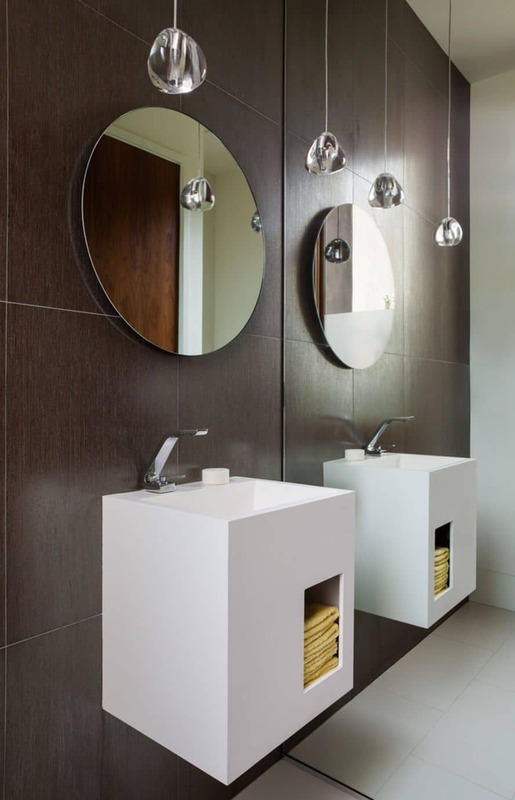 This convenient towel storage is intricately design and serves a functional purpose as well. 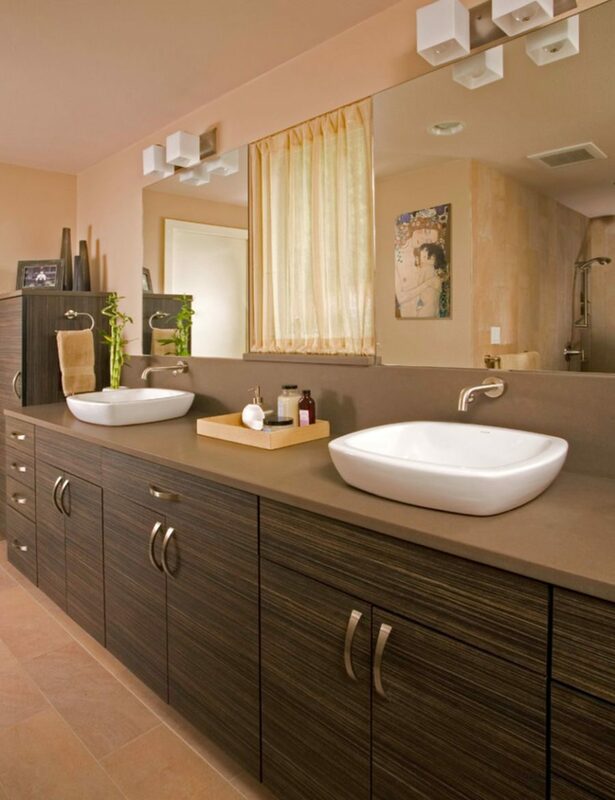 Incorporate natural materials with this double sink on cabinets made of wood. This double sink features the bowl look and easily separates one person’s space from another. Whether you want to designate a space for each of your children or you need your own space, look no further than this sink setup.